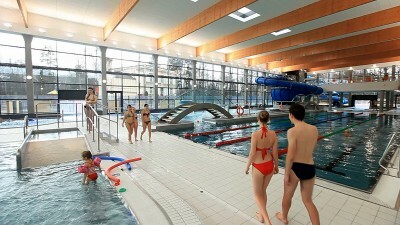 In all receptions of the Cieplice Health Resort tickets for the Cieplice Baths are available. Only from us you can buy tickets with an additional 5% discount! 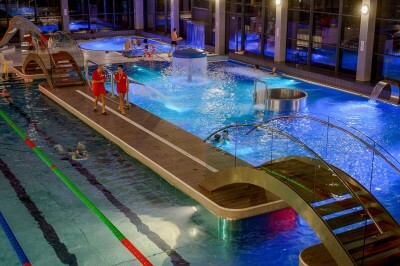 The Cieplice Baths, a unique in the Karkonosze and the entire region, a comple of swimming pools, the uniqueness of which is the use of thermal waters with unparalleled chemical composition and temperature on a European scale. 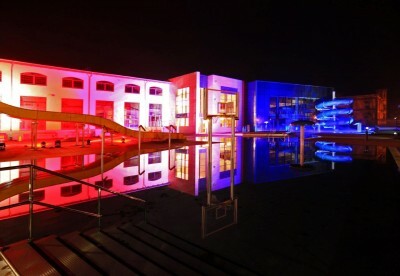 The pools and jacuzzi tubs are filled with water, which we give, optimal for recreation and relaxation, temperature in the range of 28-36 ° C. Bathing, swimming or swimming lessons in a warm, but not too hot, water provides invaluable, beneficial effect on the regeneration of the whole body, and the effectiveness of water and air massages. The complex is divided into three zones. 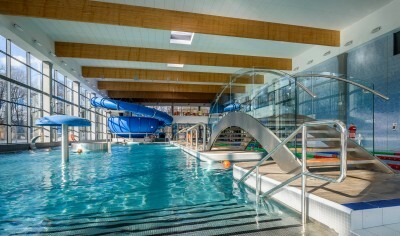 The internal swimming pool area includes: a recreational swimming pool with hydromassages, a water swing and a "wild river" connected with a swimming pool (4 tracks x 25m), 2 shower pools with slides and sprinklers for children, two Jacuzzi tubs, "Anakonda" and " Onions” slides and 2 thermal pools with water beds and the possibility of swimming outside the pool hall regardless of the time of year and air temperature. 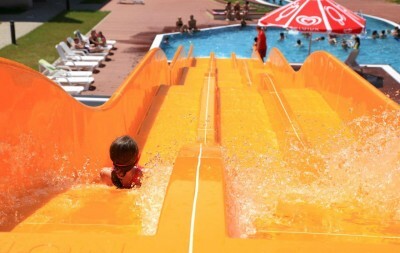 The outdoor swimming pool area is open in summer and you can use the recreational swimming pool with a track family slide, a second tubular slide, geysers and a water umbrella, aquabasket basket and a wooden and green beach with sun loungers. 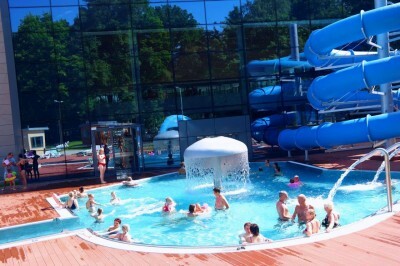 The whole is completed by a SPA zone in which there are two Finnish saunas with different temperatures, a steam sauna, an infrared sauna, water jets, an additional three whirlpool tubs, a tepidarium, a snow grotto, an ice fountain, a relax zone with heated ceramic couches and two cabinets in which one offers numerous treatments and massages. 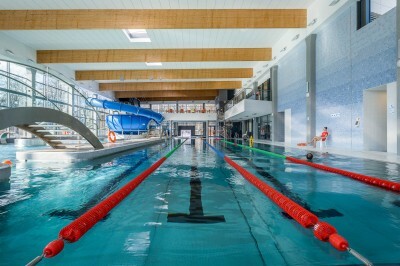 In addition, the facility has a sports store, conference facilities and catering area, and fitness classes and a gym will be opened soon. 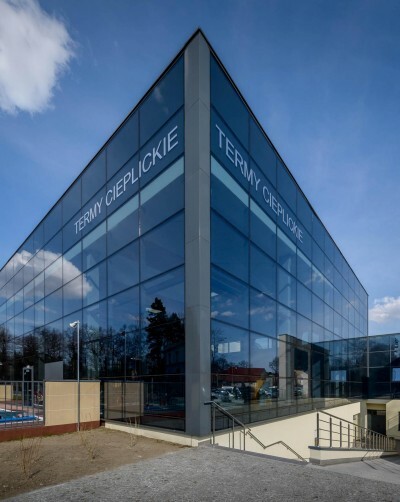 The Cieplice Baths are located in the health resort district of Jelenia Góra - Cieplice, in the immediate vicinity of two historic parks - Zdrojowy and Norweski and numerous monuments and sanatorium and hotel facilities. Three free car parkings are able to accommodate a total of over 150 cars. In addition to the days in which theme events are organized, the facility is open from 6 AM to 11 PM, seven days a week including holidays. An extensive price list, a system of discounts and group packages, as well as the offer of electronic pre-paid passes makes it one of the most attractive objects of this type in Poland.